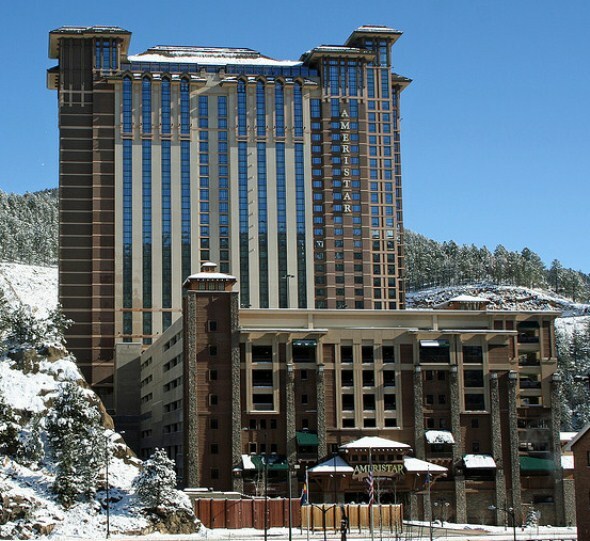 The 33-story Ameristar Casino Resort Spa in Black Hawk, said to be the tallest building between Denver and Salt Lake City, opened in 2009. The hotel, with 536 rooms and 64 suites, was the result of a $230 million expansion by Ameristar, which also owns casinos in Nevada, Missouri, Mississippi, Iowa and Indiana. It opened several months after Colorado changed its laws to increase betting limits from $5 to $100 and to allow casinos in the three mountain towns that allow gambling to stay open 24 hours. The adjacent 2-story casino features hundreds of slot machines as well as blackjack and poker.